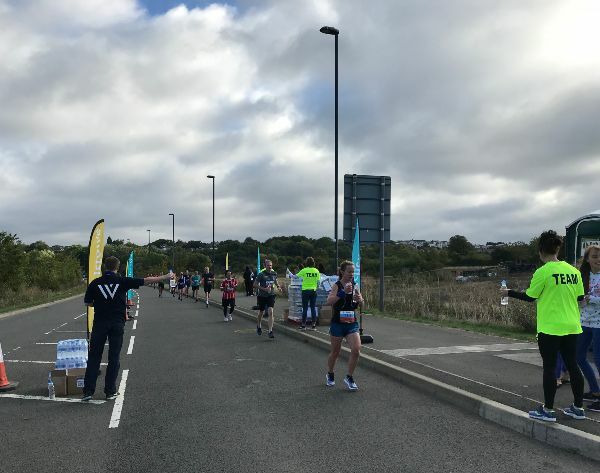 The New Swindon Half Marathon made its way through Wichelstowe again this year and we were on hand to hand out water, gels and jelly babies at the nine mile mark. It was a pleasure to work with a great group of volunteers and the Brighter Futures team. The atmosphere was created by the Ministry of Samba who played almost constantly for 2 hours. It kept us all going and some of us may have even broken out into a little jig from time to time. It is always great to spot people you know and we tried to give a shout out to some of them. We spotted our colleagues Peter and Gerry from the Council and the Wichelstowe runners stood out in their new purple tops. It was also great to see the local MP, the Mayor and some of our Local Councillors taking part. 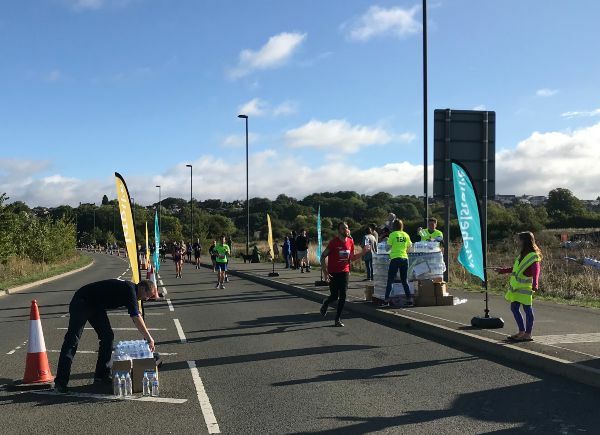 We’d love to have taken some more photos but once the runners start coming through, all hands are on deck to get the water handed out. We also hear reports that the East Wichel community were doing a great job cheering everyone on and hopefully we brightened up the journey through one of the more remote bits of the course. 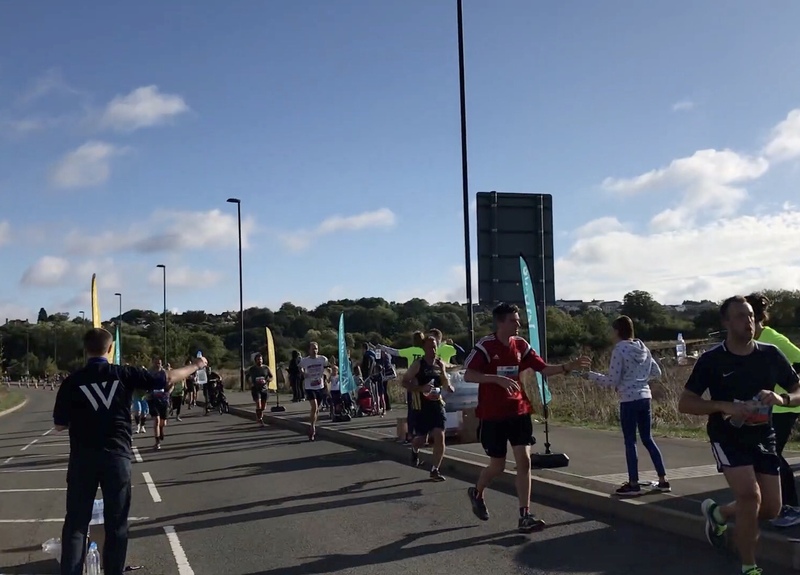 A massive congratulations to all those who took part! !